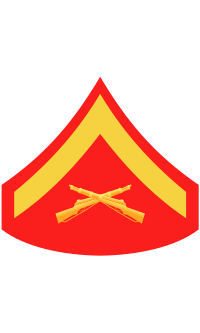 In the spring of 2013, Lance Corporal Thomas Foster was serving in Operation Enduring Freedom in Afghanistan. 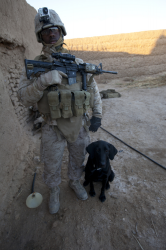 He is assigned to Weapons Company, 2nd Battalion, 7th Marine Regiment, as a light armored vehicle operator. 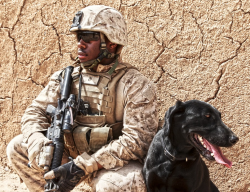 Foster also serves as the platoon's dog handler, a military working dog named Diamond.